The most high-tech space capsule ever built has been shown off by Nasa in the US state of Florida. The Orion capsule will eventually be part of a spaceship. It's arrived at the Kennedy Space Centre ahead of its first mission in 2014. The plan is to fly humans to asteroids and the Moon by 2025, and eventually to the planet Mars. That's further into space than astronauts have ever been before. 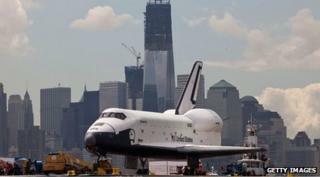 Nasa's plan is to use Orion-style spacecraft as a replacement for the Space Shuttle fleet which ended operations in 2011. Once the capsule is built fully, it will first fly an unmanned mission in the direction of the Moon. The mission will take it 3,600 miles from Earth. Nasa will test the capsule to see if it copes with extreme temperatures and the pressure of coming back through the earth's atmosphere. Astronaut Rex Walheim said: "It is a lot different than the shuttle. The shuttle was a little bit bigger on the inside. It's different technology too." The space shuttle programme started in 1981 and lasted 30 years. 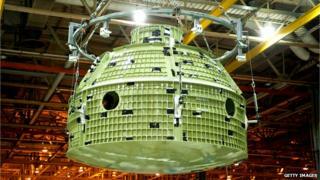 At the moment the Orion capsule is just a 'skeleton' which will have wiring, computers and a heat shield added to it. Then it will be put on top of a rocket for the first Orion test flight in 2014. PlayStation 5: What can we expect from the new console?